Heavy Planet : LP Review: Kings Destroy - "Kings Destroy"
LP Review: Kings Destroy - "Kings Destroy"
Kings Destroy's self-titled release opens with a chugging force that could easily provide the soundtrack for a gargantuan beast plodding through a village, leaving a bloody path of destruction in its wake. What follows are haunting harmonies and vocals that accent the mood, only to intermittently kick into a higher gear throughout. Kings Destroy is certainly not something I expected to hear coming out of New York City. I see Viking landscapes; cold, wintry lands where men pound on their chests with bellies full of gluttony. Oh, and lots of beard hair…Just face fulls of unkempt, rodent-infested man hair! These are the images I see when listening to Kings Destroy. The production on this album is really solid and tight. Every instrument brings a near-perfect level to the mix, which is refreshing in an age where music is either overproduced or the drums sound like everything but drums. There's some pleasantly unpredictable riffage throughout the songs, and with the mix of doom alongside the heavy groove, you can tell these guys are fans of both sub genres but make it their own rather than following one style or the other. 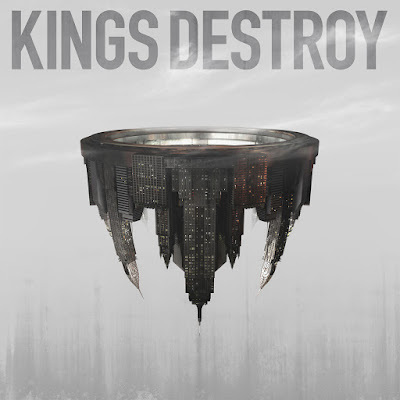 I'm going to keep listening to Kings Destroy long after this review is written and posted.